Idea Croron Ka (ICK) Pakistan’s premier startup reality show has successfully completed two seasons and is launching its third season this July. During these two seasons startups on ICK raised Rs. 22 crores, a total of 48 startups were given the chance to present their business ideas and 15 local and international investors became a part of the show making investments. ICK is accelerating and escalating its goals by partnering up with USAID Small and Medium Enterprise Activity (USAID SMEA). USAID Small and Medium Enterprise Activity (SMEA) project is implementing business development support (BDS) activities designed to facilitate growth and enhance productivity in small and medium sized enterprises (SMEs). 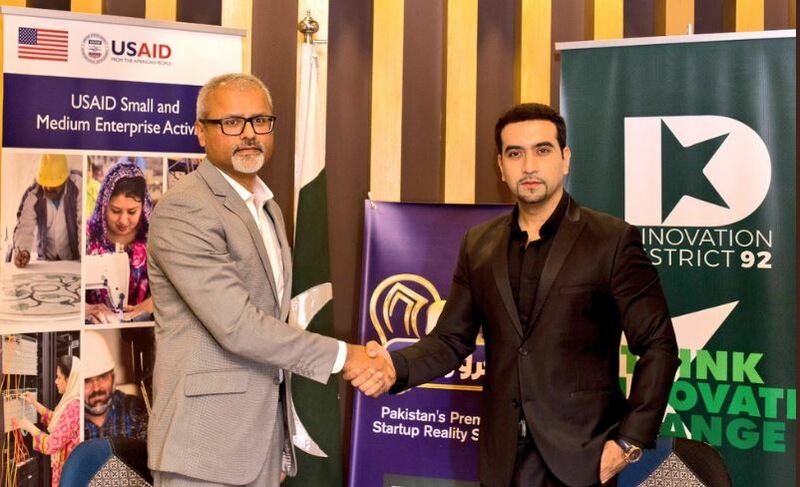 ICK represented by Nabeel A. Qadeer; Host, Lead and Content Producer signed a Memorandum of Understanding (MoU) with USAID SMEA represented by Farrukh Khan; Chief of Party on Monday, 11th June, 2018 where USAID SMEA has agreed to appear on the show and provide grant capital to the deserving entrepreneurs of Pakistan in 2 particular categories; ICT and Hospitality. “Through this MoU, ICK will access grants that will incentivize the development and diffusion of innovative, scalable business ideas that will benefit both the entrepreneurial sector and startups.” – Nabeel A. Qadeer shared his opinion on this MoU. “The sort of opportunities we provide at USAID SMEA will provide ample opportunities to startups appearing on ICK to help them launch and scale their products / services.” Farrukh Khan shared his thoughts on the MoU signed between ICK and USAID SMEA. ICK is backed by CMACED and together they are tapping into unexplored sectors. Their growing partnerships with Circle, Turkish Airlines and now USAID SMEA is turning out to be fruitful for entrepreneurs looking to scale their businesses. We are excited for season 3 and look forward to novel amazing ideas! Idea Croron Ka is back with its Season 3!